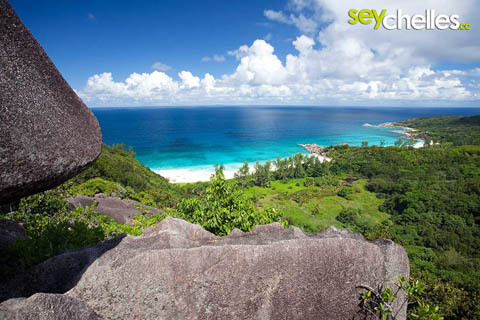 Petite Anse is just a few minutes walk from Grand Anse on La Digue. Despite being steep, the path is not really difficult. It might become pretty hard though if you run out of water or are handicapped with a bad knee or hip. Petite Anse usually is much calmer than Grand Anse, especially at low tide. However, a sign telling you to be aware of strong currents reminds you to take care. 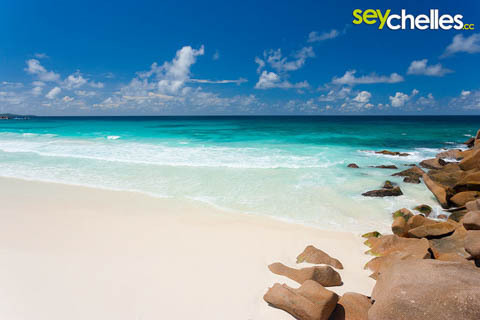 While the beach is one of the flattest of the Seychelles, some caution sure is appropriate. 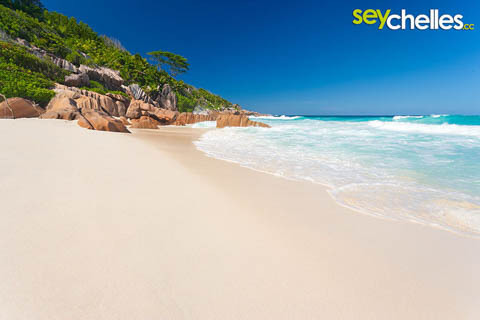 Strangely Petite Anse is one of the most deserted beaches of the Seychelles. One of the reasons might be that there is hardly any shade available (especially until afternoon), the other one being that most people that come here are on their way to Anse Cocos, and only stay for a few minutes. If you want to see more from Petite Anse, watch our movie aerials of Grand Anse and Petite Anse.